Plastic extruded profiles are created by melting raw plastic pellets and forming the melted material into a continuous profile. 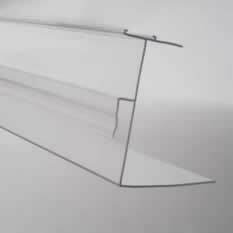 Plastic extrusion is a high-volume process used to manufacture a wide range of products including LED Light Diffusers, custom size tubing, shelf talkers, bumpers, conveyor covers, bumper strips, edge protectors, electrical insulator channels and more. Plastic extrusion is a green process with minimal waste and is recyclable. Our employees have years of experience allowing us to determine the optimal extrusion rates to produce your parts economically and efficiently. What Are the Different Types of Extruded Plastic Profiles? Contact Crescent Plastics today for more information about our custom extruded plastic profiles. 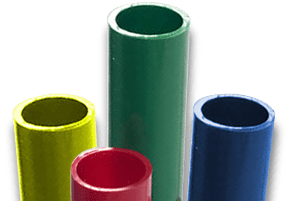 Since 1949, Crescent Plastics has provided high-quality, custom extruded plastic profiles for customers across the country in a wide range of industries and applications. We produce custom plastic extrusions up to 22” wide, from complicated to simple high-volume designs. From design engineering to delivery, Crescent Plastics offers full-service custom extrusion to provide plastic profiles that match your exact requirements. Our experienced design engineering department has the skills and experience to turn any extruded plastic profile design into a tangible product. Utilizing proven DFM (Design for Manufacturing) methodologies, we optimize customer designs for improved functionality, quality, and production economy. Thanks to our DFM processes, your plastic extrusions will be easier to manufacture and require less material, resulting in faster turnaround times, improved quality, and lower production costs. Crescent Plastics designs and builds all tooling for custom plastic extrusions in-house to reduce lead times and lower the cost of your project. Optimized for high volume runs our processes focus on quality and longevity. We use state-of-the-art wire EDM (Electrical Discharge Machine) machines, and CNC (Computer Numerical Control) machining centers meet or exceed your exact design specifications. Our on-site 3D printing equipment enables us to produce custom plastic profile prototypes quickly and efficiently. These quick-turn prototypes allow you to test your profiles’ fit, form, and function and give you a visual reference for planning and design. The 3D printing process also makes it easy to advance through numerous design engineering iterations without the need for expensive tooling changes. Once your design has been perfected and you’re ready to begin full production, our state-of-the-art tooling shop will create the custom tooling your plastic extruded profiles require. With in-house toolmaking capabilities, we can minimize tooling lead time and guarantee the quality and accuracy of our tooling. We assist you in getting your product quicker to market than the competition. Automated downstream operations and custom fabrication capabilities allow us to deliver custom extruded plastic profiles that are complete and in their final form. Fabrication operations can be done on-line and off-line as dictated by complexity and volume. We do more of the work now, so you don’t have to later. With all these services and processes available under one roof, Crescent Plastics is a one-stop shop for your custom plastic extruded profile needs. Learn more about our design engineering and tooling capabilities or contact us to request a quote. Using high-quality materials is a standard part of our plastic extrusion process. We specialize in creating custom plastic extruded profiles using engineering thermoplastics and can extrude a wide range of commodity thermoplastics. Whether your application requires a material with specific physical characteristics or you need the best combination of durability and affordability, we have you covered. 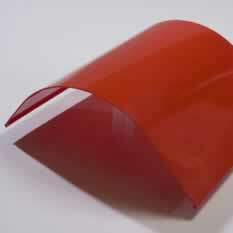 A variety of plastic alloys and other specialty plastic materials are available upon request. Crescent Plastics uses an APQP (Advanced Product Quality Approach) approach which ensures that we address what is critical to the function of your custom plastic extruded profiles. This information is communicated to our operators and inspectors with documented control plans; they then assume primary responsibility for quality assurance by checking dimensions, part function, and color during production. Crescent Plastics provides design engineering and full-service manufacturing to create custom plastic extruded profiles that match your exact requirements. We are prepared to assist you through each step of the design and production process and take every measure to ensure customer satisfaction. Contact us to learn more or request a quote for high-quality plastic profiles.